An exciting saltwater combination fishing trip inspired by the lead cover article in the legendary Texas Fisherman magazine. This is the best trip we offer. Fish all day for big Bull Redfish and Giant Tarpon. 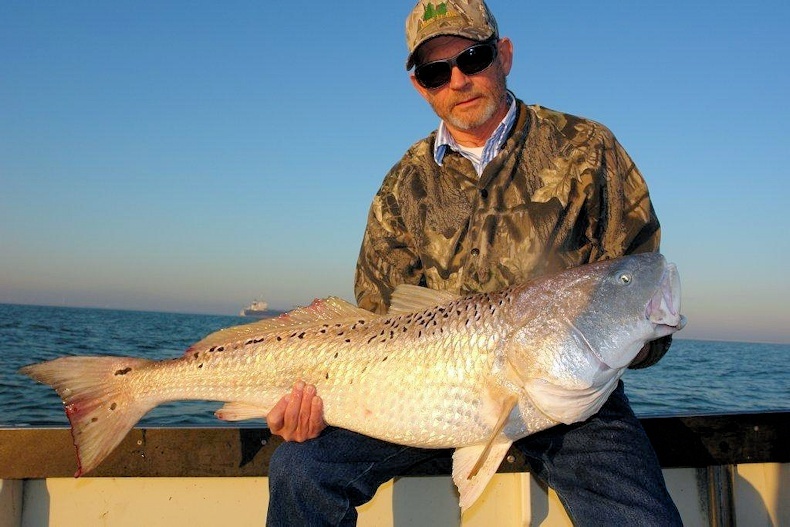 The Bull Reds range in size from 20 to 45 lbs and average around 30 pounds. In some cases it is not unusual to catch 20 to 30 Bull Reds on a single trip plus the Tarpon of a lifetime. The new Texas state record Tarpon was caught in the near-shore Galveston Texas surf in October 2006 and weighed 211 pounds. The Tarpon at the top of this page was estimated at over 200 pounds and was caught just off Galveston in 2013 by Tarpon Express fishing guide Captain Mike Williams. The record on my boat for big reds occurred in the fall of 2001. The boat was the Tarpon and the guide was Captain Mike Williams. The fishing crew members were David Nentwig, Houston, Texas, Mark Bristol, Ft. Worth, Texas, Russel Jackson, Tyler, Texas and Preston Smith of Tyler, Texas. We left the marina before sunrise and headed for Rollover Pass where we encountered acres of Redfish slicks boiling up everywhere just outside the surf. We ran out of bait at 1 PM and the four fishermen had caught 114 Bull Reds to 46 pounds, 5 Shark, 6 Black Drum and 2 Rays. 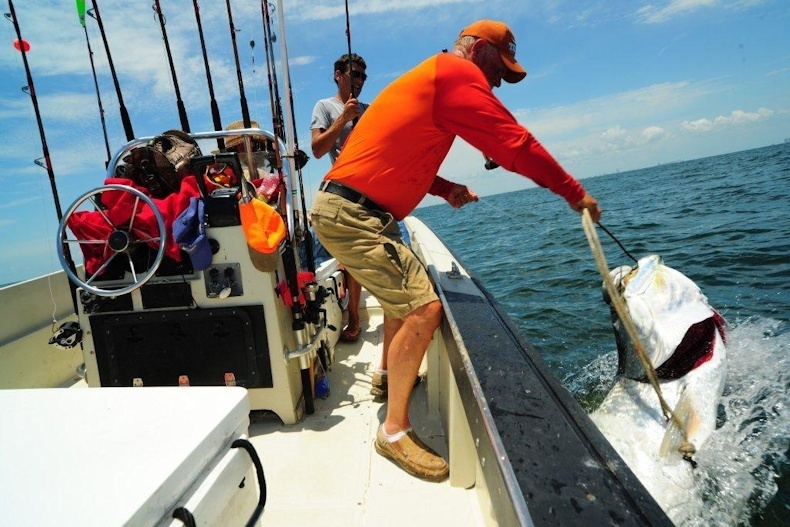 The catch was documented with signatures and witnessed by the Galveston Yacht bait camp owner, Raymond Berry. -Capt. Mike Williams, Tarpon Express.